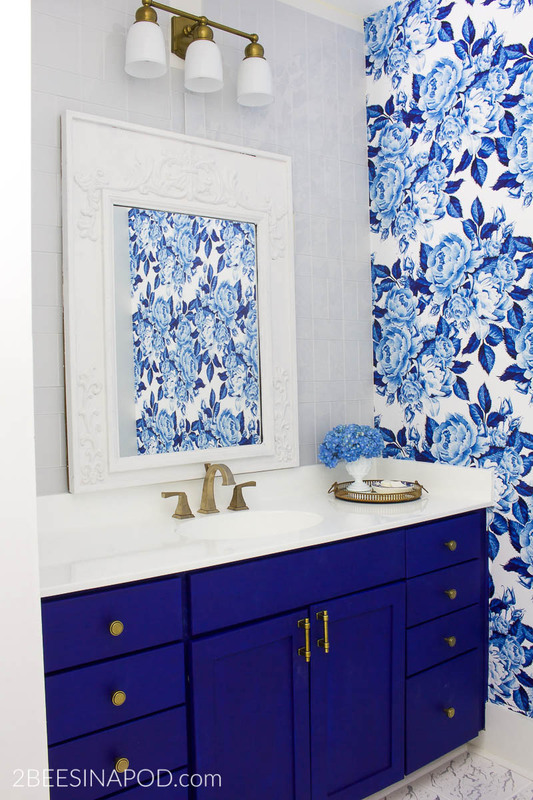 Home renovations and makeovers can be very costly. If you are patient and creative you might be surprised how much money you can save. 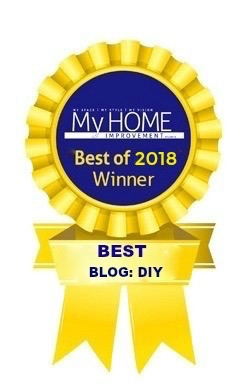 In this post I will share how I came about the idea for my kitchen shelf from a fireplace mantel. 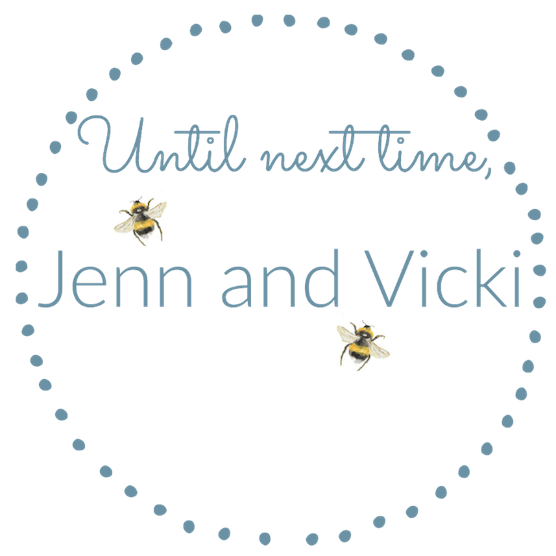 If you have been reading this blog for awhile then you know that Jenn and I adore most things vintage. 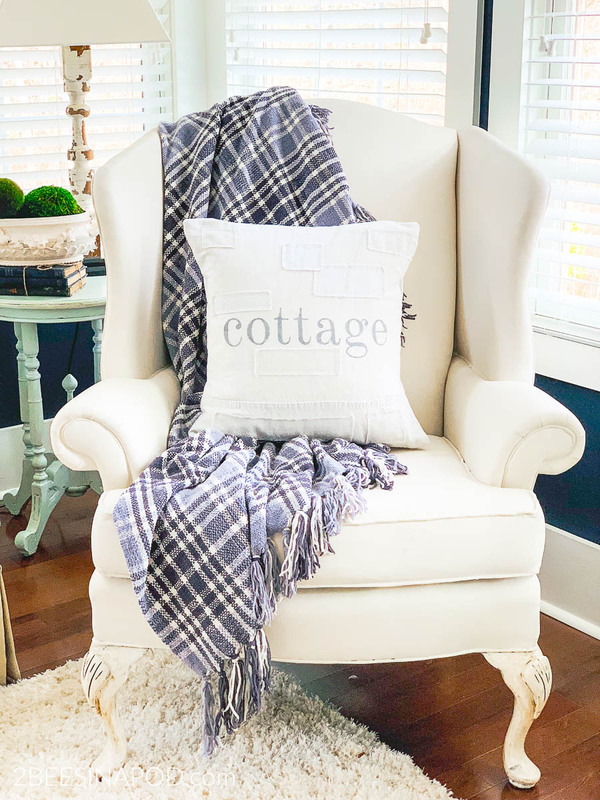 Especially vintage architectural items that we can use in our home decor. Jenn has a fabulous industrial cart that she uses as her coffee table. In my master bedroom I have an oversized antique fireplace mantel as a headboard. 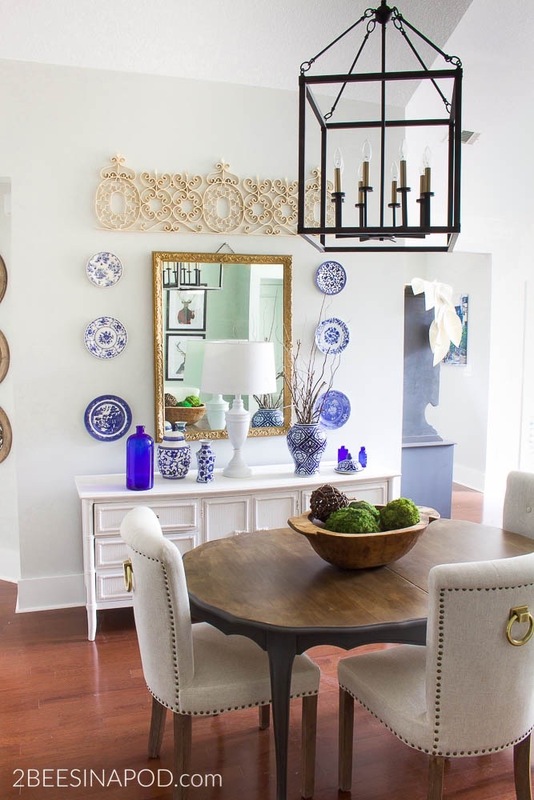 We each have a plethora of other pieces collected in our homes. 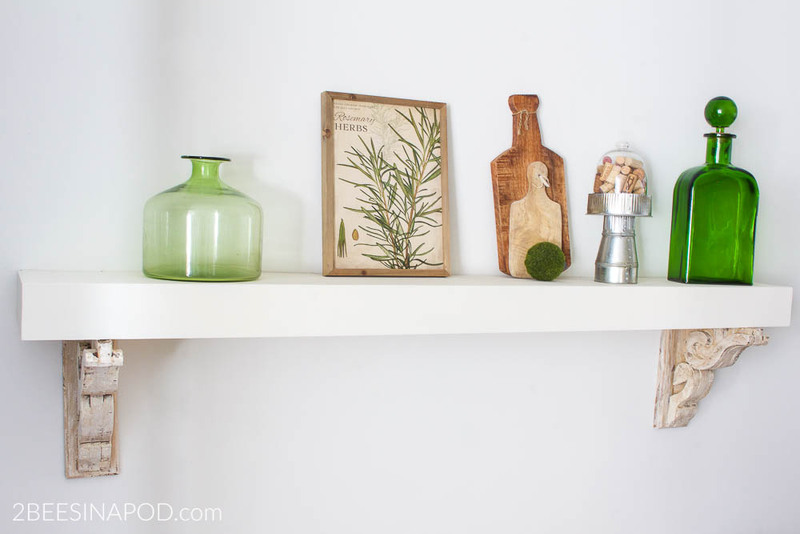 For my kitchen makeover, I had my heart set on having an antique shelf hanging on the blank wall. That is until I began pricing it out. Sticker shock and disappointment quickly set-in. 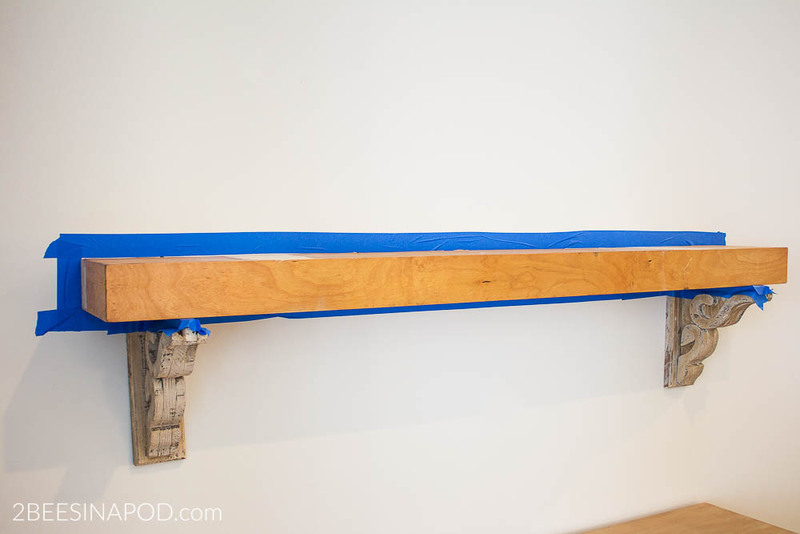 Here is how the idea was born for the kitchen shelf from a fireplace mantel. 4½ to 5½ feet in length. This is pretty large for a shelf. This all seemed like a very easy list to me. But, it comes with a high price tag. Whether it was a ready-made shelf or custom made, prices started at $400.00! Way outside of my budget. One day I made a quick trip to a local antique shop. 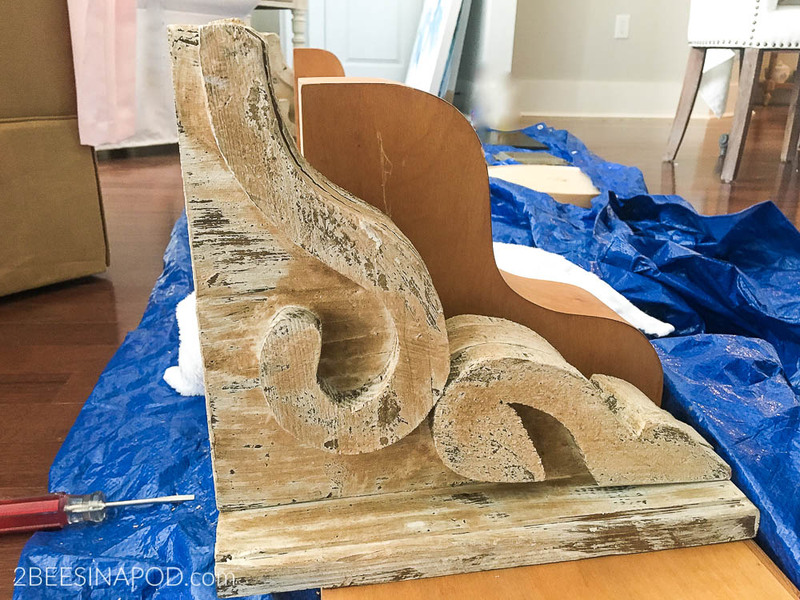 My patience paid off because I found a pair of matching antique corbels and they were marked at just $30 for the pair! Now, If y’all don’t know – this is like finding a unicorn riding a triple rainbow holding a winning Powerball lottery ticket. 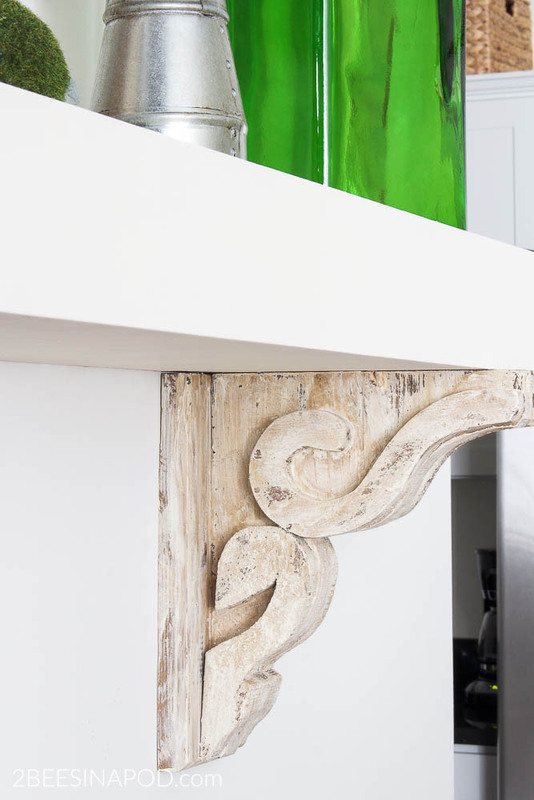 You never, ever find matching corbels and certainly never for this price. The corbels are in great shape and they are big and heavy. Next, I began drawing a plan and pricing a list to make a kitchen shelf with the corbels. This option was proving to be daunting and a bit pricey too. The wood I needed was expensive as it needed to be a hard wood that wouldn’t bow with its length. Also I became aware that there were some tools that I needed to either rent or purchase. 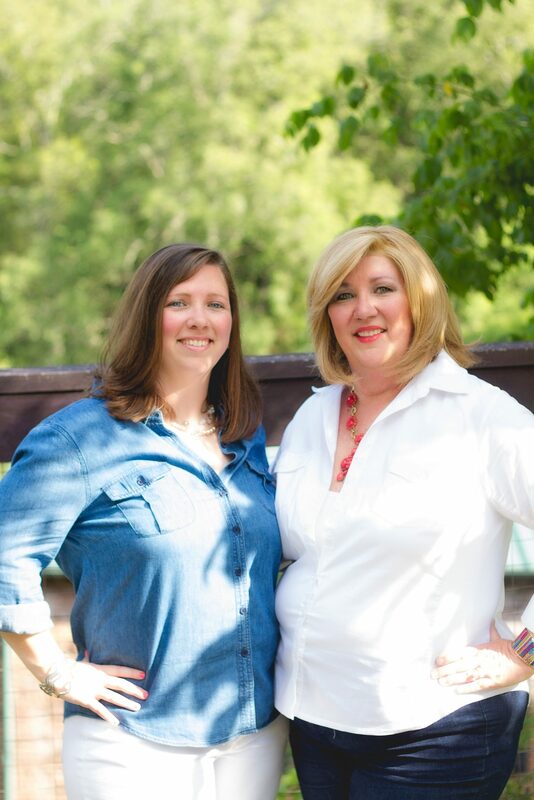 My friend Darlene and I recently visited Goodwill. It was one of those trips where we were disappointed. You know what I mean? After searching the aisles neither one of us found anything. Then on second glance tucked away in a corner I saw this fireplace mantel – I wasn’t even sure if it was for sale. Blissfully, it was for just $13.00. 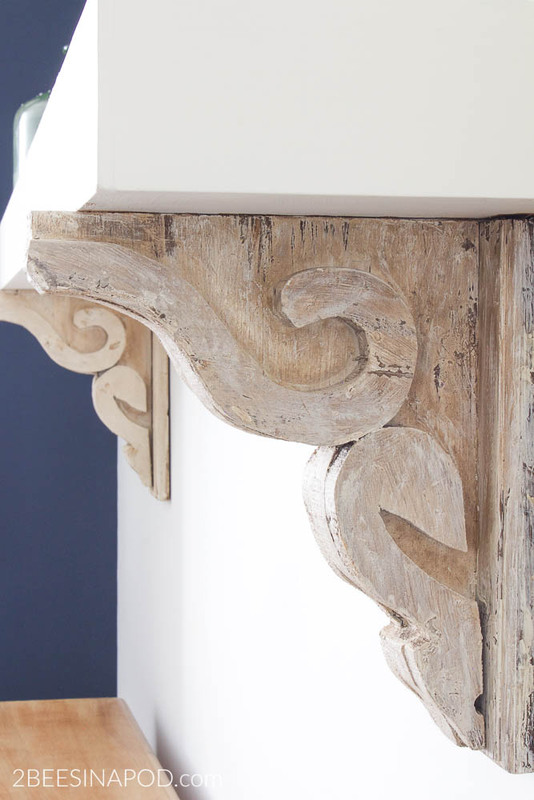 Immediately I knew that this mantel and my corbels would match perfectly together. The best part is that it would be less work for me! 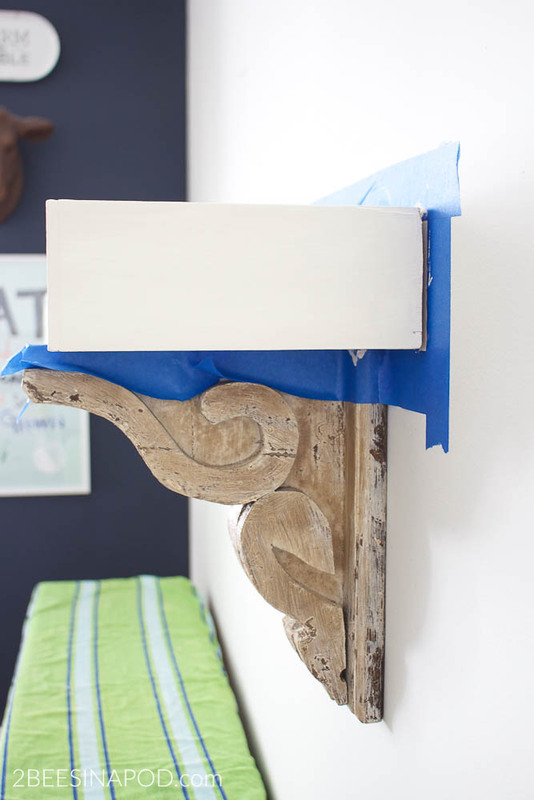 My idea was to knock off the modern corbels, add the antique corbels and paint the mantel boards in Old White Chalk Paint. 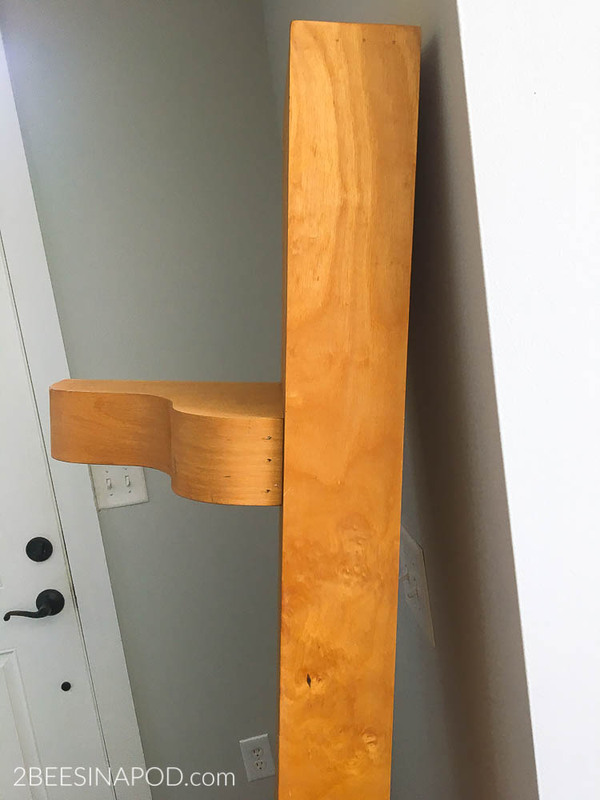 I found out rather quickly that the modern corbels would-not-budge! Not only were they nailed with what seemed like a thousand tiny little nails, they were glued down with industrial glue. This was when I waved my white flag of retreat and called in a handyman. 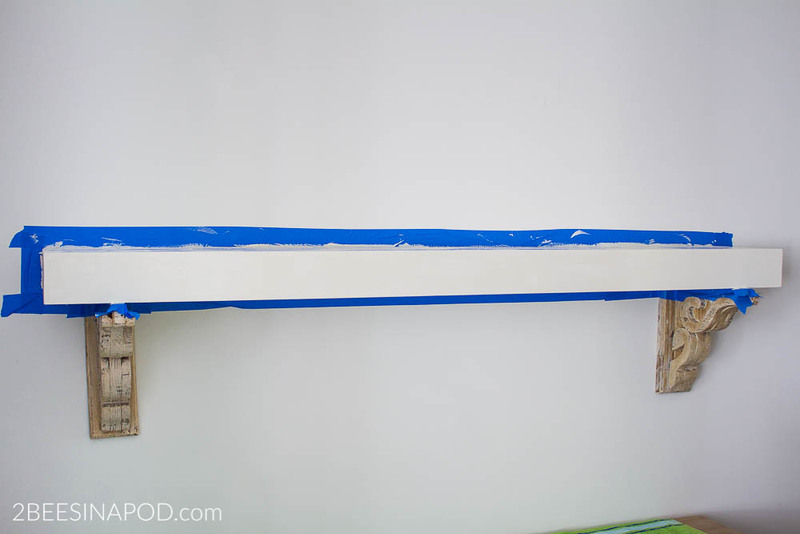 Vincent removed the old corbels, added Bondo where they were removed, added a cleat to the kitchen wall, added the shelf and antique corbels to the wall. Swoon. I quickly added two coats of chalk paint. 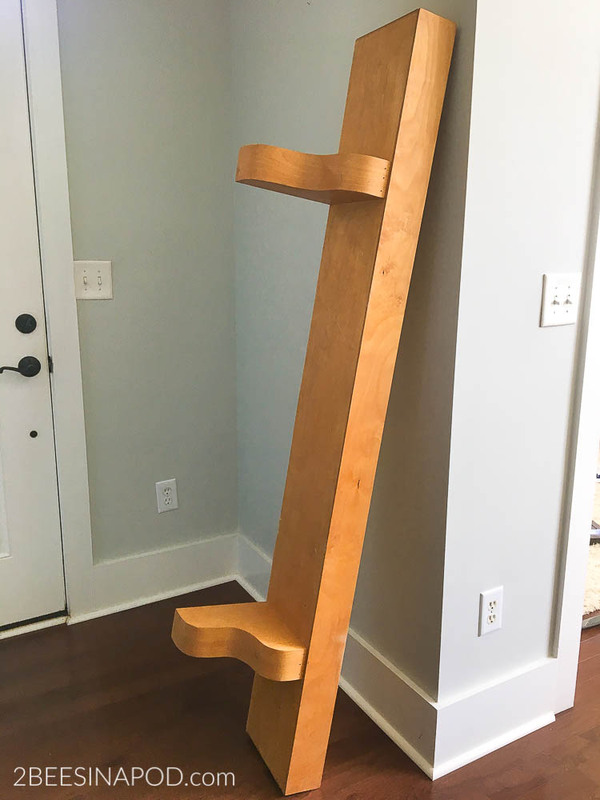 The kitchen shelf of my dreams came to life. I’m so happy that I had the patience to wait for what I really wanted. 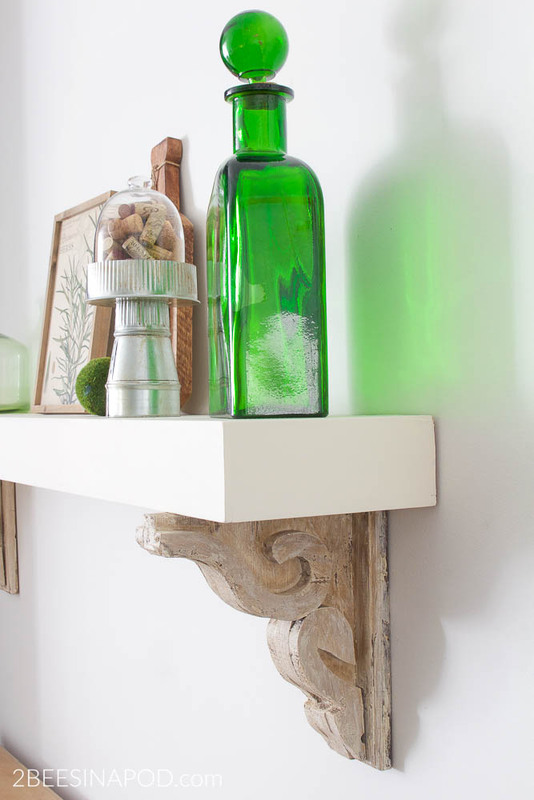 The kitchen shelf from a fireplace mantel looks even better than the expensive shelves that I was looking at. The kitchen makeover is coming along well. This week I found a great deal on backsplash tile 🙂 and I worked on the furniture decor. Stay tuned for an update next week. Wow! Beautiful!!!!! Thanks for sharing!